$1.5 million of Isuzu parts in stock and the smartest ways to get them to you. 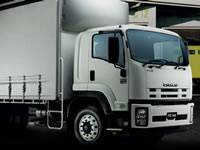 A reliable Isuzu truck is only as good as the Isuzu parts it's made of. So when you need parts for your Isuzu truck, you'll be glad to know that Brisbane Isuzu is just as reliable. We are the largest parts dealer iby volume in QLD, with over $1.5 million worth of genuine Isuzu parts on our shelves we service the greater Brisbane area through our 3 branches and carry a huge back up stock at our distribution warehouse. We also ship parts throughout Australia at your request. Our commitment is to keep you on the road and trucking wherever you are. We've been accredited by Isuzu Australia Limited as a customer care dealership and meet the International Quality Standard ISO9002. Genuine accessories: eg floor mats, dash mats and weather shields. Extras include load binders and stone shields. Safety equipment: like fire extinguishers, safety signs and safety triangles. Truck care: eg, truck wash, extendable brushes and interior cleaning products. Maintenance: genuine filter kits and a full range of oils and additives. Tool Boxes, Fuel scoops, Roof Bars, Sun Visors. We don't just offer you the widest range of parts, we're also very smart about how we get them to you. Our electronic parts catalogue and computerised inventory system means we can find your part immediately amongst our huge range of stock. With just one entry, our experienced Isuzu parts interpreters and parts representatives find what you need and get you back on the road. You can even take advantage of our metropolitan delivery service to get the parts to you where you need them. In fact, if you're in real emergency trouble, you can even get access to parts after hours. And if we don't have what you're looking for? 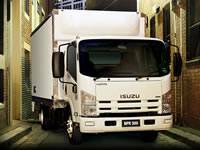 We can literally get it to you overnight - with access to over $20 million dollars in back up stock through Isuzu Australia limited. 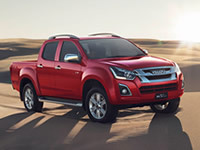 And just to give you that extra confidence in your parts, you also get a full back up warranty on all genuine parts through Isuzu Australia Limited. 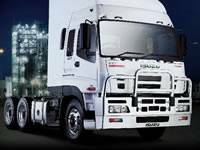 Brisbane Isuzu are also dealers for Allison Transmission parts.